In Bangladesh, many children are diagnosed with holes in their heart that need surgery to live a normal life. Many children are diagnosed with this medical condition, sometimes get surgery done at the National Institute of Cardiovascular Disease Dhaka, if they are able to provide required expenses. The public hospitals provide facilities like free bed, OT/Surgery, ICU, but the patients have to pay for medicine, surgical patch/threads etc. Non-reusable devices cost around Tk 50,000 - 80,000/= ($600-$1000.00) depending on a surgery. It is extremely difficult for the needy parents of the child to manage this significant amount money and thus they leave hospitals without having the surgery done. We can help with your support save the life of a child. Please come forward with your generous contribution. 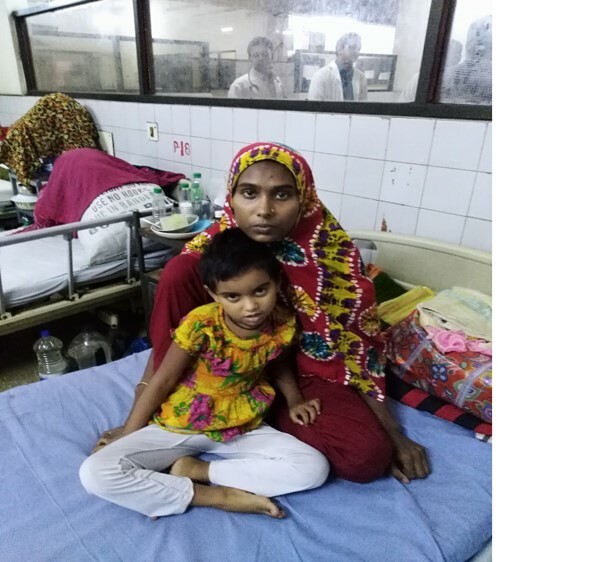 A typical needy patient's case: Name: Asha, Father: Manik, Occupation: Rickshaw-puller, District: Thakurgaon. Project Coordinators – Dr. Nazmul Haq, Dr. Monzur Hossain (Coordinator in BD), Raihan Masud, Atiq Chowdhury.